Alan Sturgess shared an excellent video he made using Tales Animator! You can still download Tales Animator here. Unfortunately it is only available for Windows XP, but we may consider recompiling it for Windows 7 after this video! 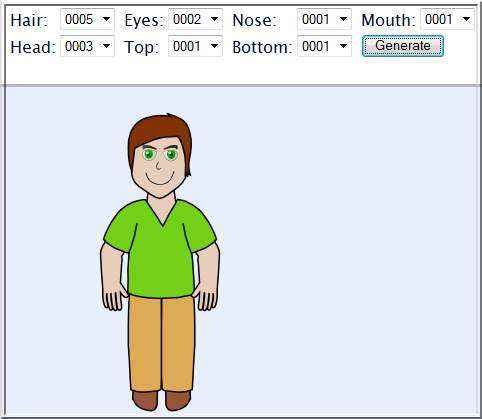 There is a prototype of simple online character designer available HERE. It is only a prototype, it does not contain many pieces yet but it can already generate characters together with some sample code. Check it out! Web Cartoon Maker 1.5 is finally here! You can download it HERE! 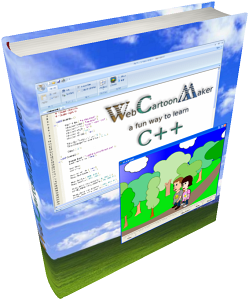 "Web Cartoon Maker Video Codec" is now fixed and supposed to work in Windows 7. Just to remind you, this video codec only works for Web Cartoon Maker's Export feature. Please do not try to use it in another applications. The AVI files encoded with this codec most likely will not play on any other computer also. But this codec is an excellent choice if you want to do some further video processing on the same machine. It is lossless and compression is very good. Text editor now supports different input languages. Before that (due to a bug) there were only English characters supported. 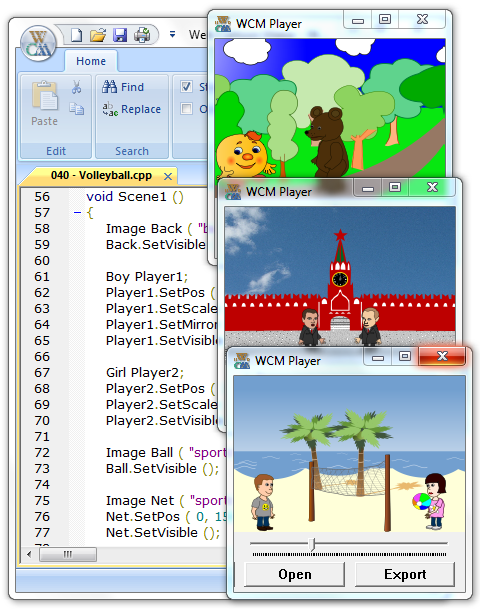 The WCM Player now shows the screen coordinates, time in the current scene and time in the movie. Follow us on twitter and we'll follow you back!